We had an amazing shoot with this city hall bride. She was talented, beautiful and fun. Once we discovered that she was a ballerina, we started thinking about ways to use that in our photos and poses. Even better was the discovery that her groom was a ball room dancer. Needless to say, we created many poses that involved dance moves and looks. We had them do dips, spins and hugs. 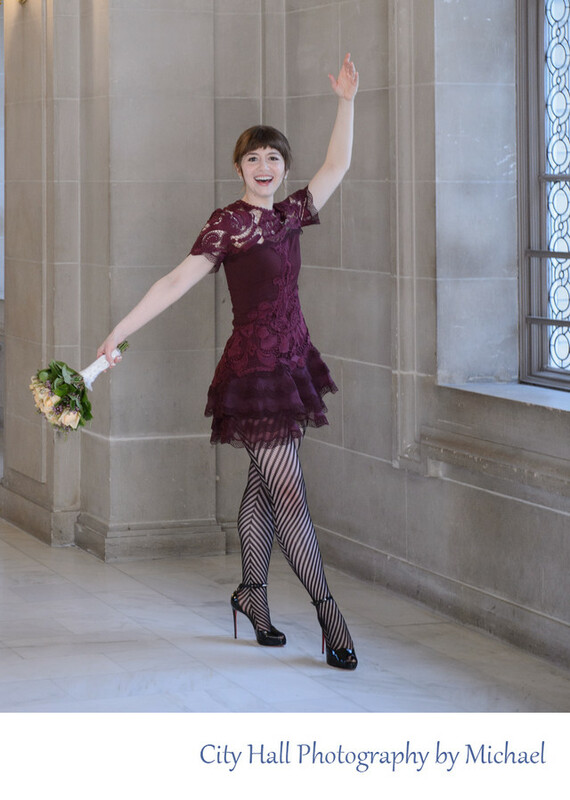 In the end, we figured why not just have the bride do some ballerina moves for us. The photo above is the result of that idea.